At a time when originality looks like it's getting choked out of the entertainment business in lieu of monstrous cash profits, it's downright refreshing to come across--or revisit--a performer like Justin Bond. He's the singer-songwriter/Tony-nominated performance artist ("Kiki and Herb") who so happily sits on the fringe, mixing music, performance, and some gender-bending with a savage grace. Think of him as a portal for "real" entertainment that isn't coated with Hollywood's cavity-forming frosting. Most may recall that Bond starred in John Cameron Mitchell's evocative Shortbus several years ago, but he's been performing for years. He nabbed Obie, Bessie and Ethyl Eichelberger Awards and was named by Time Out New York as one of the Top 40 Favorite New Yorkers. London loves him, too--England knighted him one of the country's 50 Funniest People. A strong ally of the LGBTIQ community, Bond doesn't mind pushing the envelope, either. 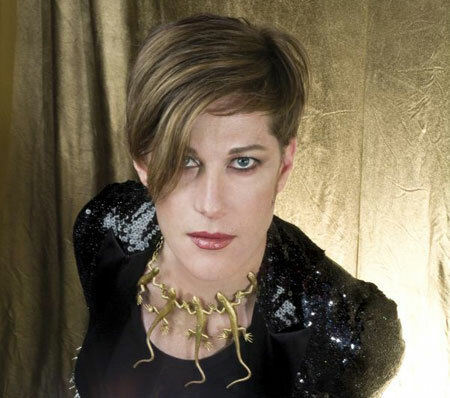 Frankly, nobody else seems to mind as was evident in his 2007 premiere of "Justin Bond is Close To You," a moving reinterpretation of the classic Carpenter's album Close To You. It didn't hurt that it was performed in its entirety in Central Park. He later jaunted off to Aussie's Sydney Opera House to perform the work there.